Ayurveda begins when everything fails and when the treatment is uncertain and prolonged. Ayurvedic treatment is preventive, protective, health primitive and curative in nature and provides a constructive approach against destructive forces. Ayurvedic approach is the right choice since it cures chronic and stubborn diseases by its deep-rooted treatment procedures and drugs. Since Ayurvedic medicines have natural ingredients which are mostly derived from herbs, plants, flowers, fruits etc. thus don’t have many side-effects and are harmless, non-toxic and self-contained. The Ayurvedic approach to an illness is holistic so you will find an improvement in your physical, mental and psychological conditions. The goal of Ayurvedic medicine is to align your mind, spirit and body to keep you as healthy as possible. Ayurveda emphasizes prevention of disease, rejuvenation of our body systems, and extension of life span. In many cases, slowing down or reversing the disease process, particularly in many auto immune disorders has observed with the help of Ayurvedic treatment. Ayurvedic medicine maintain and restore body’s own capability to have balance and fight with ailments to bring wellness to the entire body and will be in effect for a longer time than Allopathic treatment. Ayurvedic medicines can be safely used with other conventional medicines. 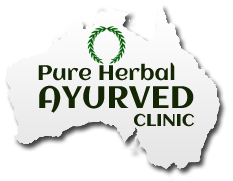 Ayurvedic medicines are widely uses worldwide to treat several physical as well as psychological conditions. Ayurvedic medicines are good even for healthy people since they are restorative in nature and helps in nourishing the body and enhancing mental ability. Ayurvedic practitioners claim that with ayurvedic medicines one can easily get relieve from stress, anxiety, depression and problem in metabolism to rejuvenate the body. Ayurveda cures the problem or eradicates the issue from your body forever, if followed the instructions properly and strictly. Financially Ayurveda is very economical comparing to other forms of treatment as you can learn from the practitioners certain forms of home cares that can be followed by yourselves when require. Ayurveda is not only treatment, it is a way of life by providing knowledge about life and by educating good and bad dietary effects to life. Your treatment is personalized to your symptoms, rather than using a conventional, "across the board" approach to healing. Ayurveda does not only address specific health concerns but also offers explanation like why one person responds differently to another or why everyone is unique. Various yoga posture prescribed in Ayurveda help to prevent the diseases from occurring and accumulating by achieving the twin purpose of strengthening body-parts such as bones, muscle and vital organs like heart, liver, stomach, and intestine as well as keeping your blood circulation and psychological conditions strong and resilient.